If you have come here, that means you’re looking for the ultimate snow trip. Western Europe is a cradle of winter sports. Freeride, freestyle and ski-touring originated in the highest mountain range in Europe - The Alps. Stretching from Austria through Italy and Switzerland to France, the Alps receive regular snowfalls, providing some of the best skiing and snowboarding terrain available. Just ask our snow travel experts. 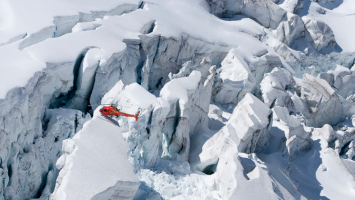 Plenty of heli, freeride, freestyle and more sick trips to the most developed snow destination - Western Europe. 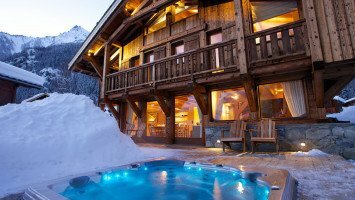 The ultimate in luxury, style and comfort for your ski trip to Chamonix! 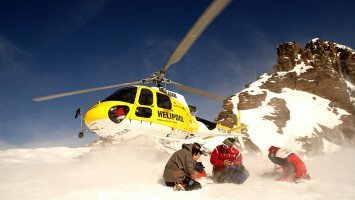 Get out of the lift lines and into the deep, untracked powder of Arlberg with a heliski trip! Skiing in Western Europe isn’t just a sport; it’s a way of life. In the continent where skiing originated and the alpine lifestyle took root, you’ll find more ski and snowboard trip options than anywhere in the world. Though much of the landscape of Western Europe is dominated by the Alps stretching from the Mediterranean coast of France through Switzerland, Italy and Austria, you’ll still find distinctive terrain features throughout the many countries and resorts. Choose France if you want to enjoy dramatic scenery, extreme heights and of course, some of the world’s best wine at the end of the day. In Switzerland, you can ski or snowboard at some of the world’s most state-of-the-art resorts, with well-developed lift systems and many opportunities to connect from one resort to another. For a chance to ski the slopes where skiing was born, head to Austria where the traditional skiing experience reigns strong and you’ll find the alpine style resorts and villages that every diehard skier or snowboarder should experience at least once. No matter which country you end up in, you can expect huge vertical and stunning scenery to surround you at every turn. the day with drinks and dining. Western Europe is also a great choice for those worried about language barriers because in most locations you’ll find many tourists and staff who speak English. Our most extensive selection of trips is available in Western Europe. With more than 50 trips on offer, there’s probably something that’s perfect for you. Ski trip categories in Western Europe include heli, freeride, freestyle, and ski safari trips as well as several ski touring trips, perfect for those skiers that want to visit multiple resorts or a boat trip for anyone who wants big white slopes by day and big blue sea by night. 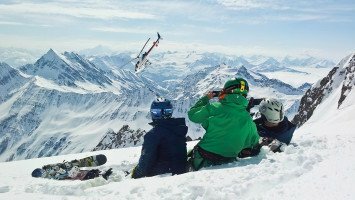 Many of our top-reviewed trips are in Western Europe, like the Definition Camps in Mayrhofen and Freestyle Sessions Davos, two top notch camps designed to take your skills to the next level. This is also the place to come for ski touring, where you can experience the steeps at several locations, traveling either with a guided ski group from hut to hut or hopping from one destination to another by bus, boat or cable car. In Western Europe skiers and snowboarders can choose from a wide variety of trips and find something to suit every style, budget and type of traveler. Home to some of the biggest mountains in the world, but also some of the oldest and most traditional ski resorts, Western Europe should be on every ski bum and powder hound’s list of favorite places to ski and ride.